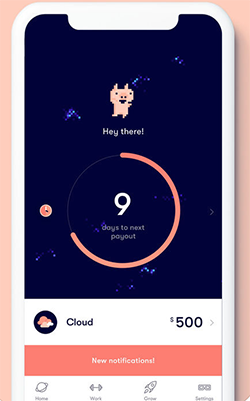 Gimi is a new app for parents to teach their kids about using money. For those of us that grew up in the pre-internet era (or at least the era in which money still existed primarily in the form of cash and credit cards that you couldn’t necessarily monitor online), we had to learn about money the hard way. If we earned an allowance or were lucky enough to earn a few bucks at a lemonade stand or mowing lawns or from the tooth fairy, we could be taught how to save by putting our money in a jar or piggy bank to save for later. Gimi is a new app that has a similar approach to teaching financial skills and money saving techniques. 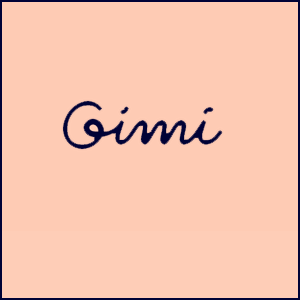 However, Gimi understands that the entire dynamic of the financial world has been changed by the web, and it teaches kids the modern skills necessary for financial survival and success. 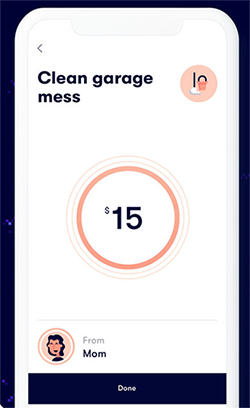 Gimi lets kids receive money from whomever is willing to give it to them—parents, neighbors, friends, etc. Children can even earn money from their parents for doing chores (a concept which did not, at least in my household, exist in the pre-digital age). That money can then be saved to a savings account, while children learn about how to set themselves up for future financial success. It’s a smart concept, especially because it’s designed specifically for children ages 8-18 to use with their parents. It doesn’t even require bank account info to get started. If you’re looking to teach your kids about finances or give them an allowance that you can monitor, Gimi is an app that’s worth a download.